Today’s kids have become more of a social media savvy than before. In fact, around 80 percent of teenagers around the world use social networking sites to share information about themselves online than they used to in the last years. While it has its fair share of benefits, being engrossed with social media also poses some risks, and as parents, it’s your duty to keep them safe online. Luckily, you can do it using the following tips. Be Knowledgeable About Social Media. Since you’re aim is to keep your child safe online, then you should also take some time to educate yourself about the social networking sites that your child is using. Familiarize yourself with the different social platforms to understand how each platform works. If you want, you can also create an account on each site to get a first-hand experience. Set an Age Limit. Establishing an age limit as to when they could start getting into social networking sites is also a good way to keep them safe online. Never give off the feeling that you’ll never allow them to use social media because that will only push them to create a secret account. The ideal age to let your child explore social media would be 13 years old and above, as most social networking sites also require their users to be older than 13 years old to set up an account. Discuss the Consequences and Dangers of Social Media. Most kids don’t realize the dangers and consequences of using social networking sites, as well as the accessibility of the information that they are sharing online. This is why experts suggest discussing actual situations wherein social media poses harm, such as stories about teens that are being cyberbullied. By doing this, they’ll be more likely to think twice about sharing photos and some information online. Place the Computer in the Centre of Your Home. 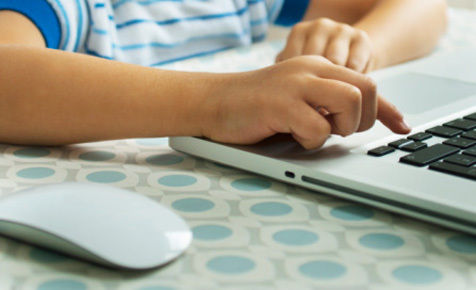 Another good way to keep your kids safe online is by keeping the computer in a centralized area in your home, instead of keeping it in your child’s bedroom. With this, your child will be less likely to practise inappropriate behaviour online knowing that you can easily peek in the computer any time you want. Set Some Rules. If you’re planning to instil positive social media habits in your child, then the best way to do it is by establishing some rules regarding social media usage. For instance, you can set a daily or weekly time limit as to how long he can be on social media, or you can also establish specific times wherein both of you can go online and practise social media safety. Just ensure that when you set rules, your child should still be able to make good decisions on his own. For most parents, monitoring the social media presence of their child isn’t only worrisome, but challenging as well. But by using the right approach, parents can still set good examples and teach their kids on how they can use social media respectfully and responsibly.